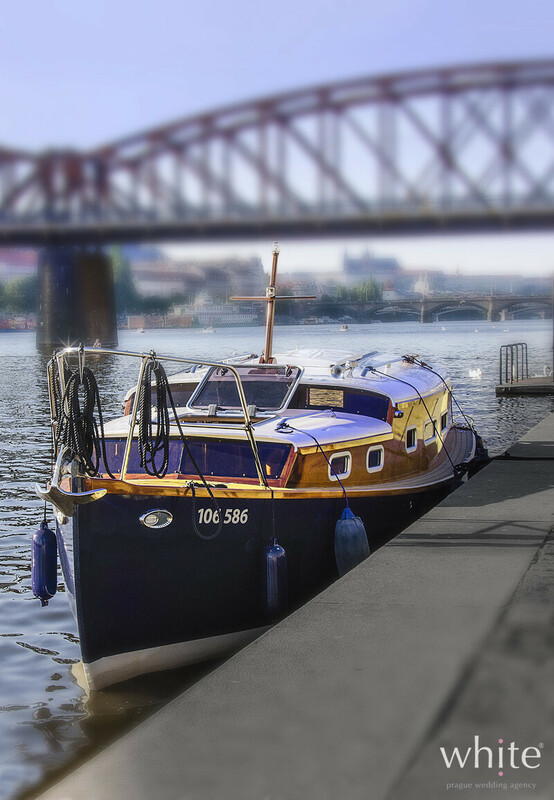 We love the water. 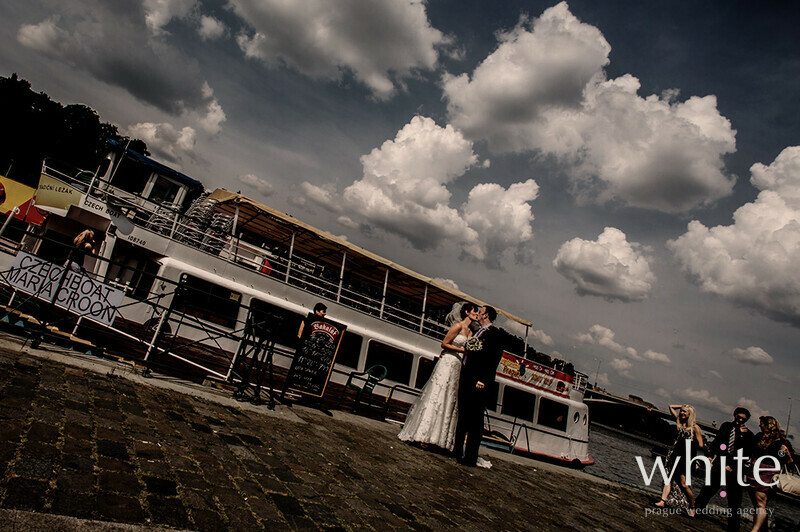 We love the boats. 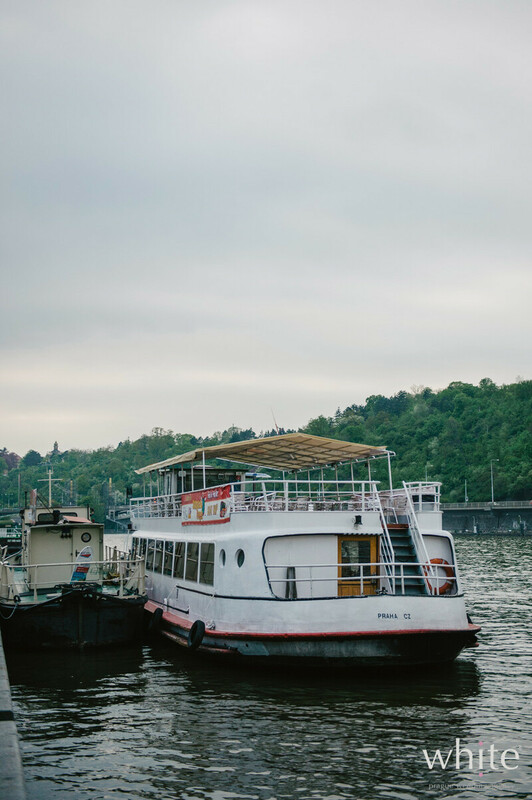 And we are always happy to somehow involve boats into your wedding, to make it more unique and memorable for you and your guests. 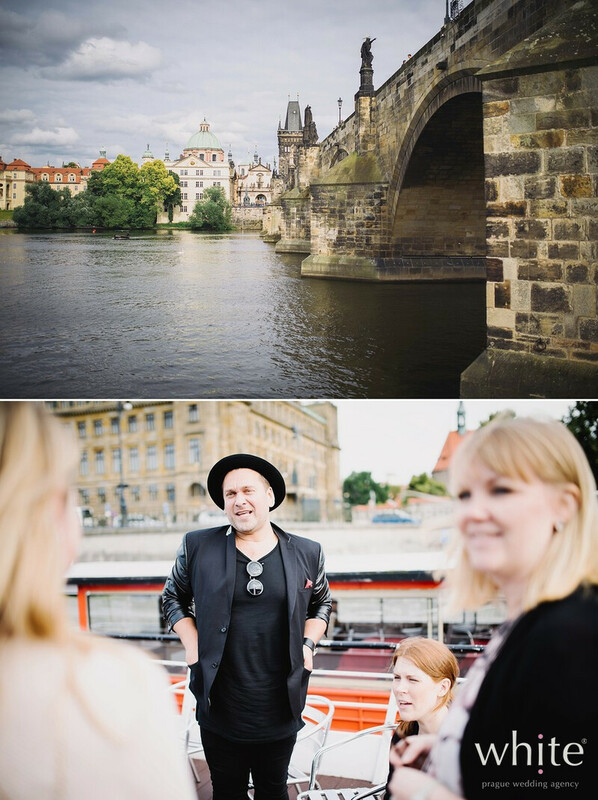 Prague is beautiful from every angle and seeing it from the river is an unforgettable experience. 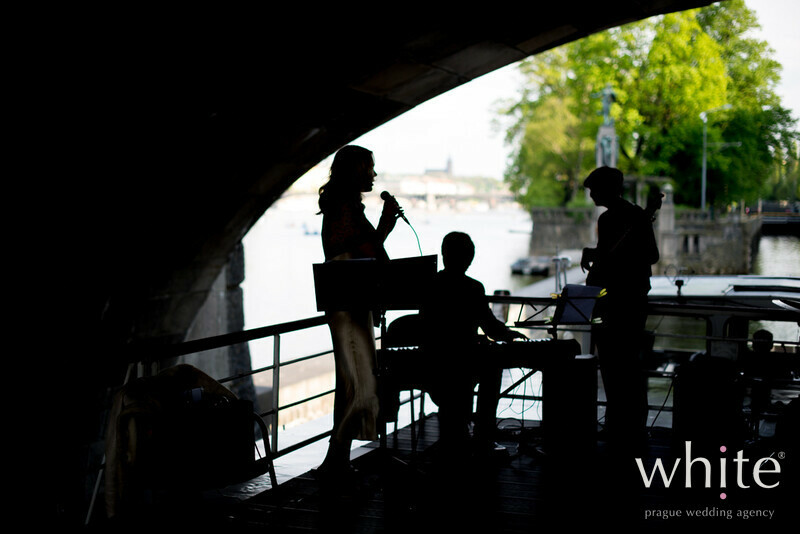 Add some soft jazz music, bubbles and your friends and you will have the perfect time, memories and photos. 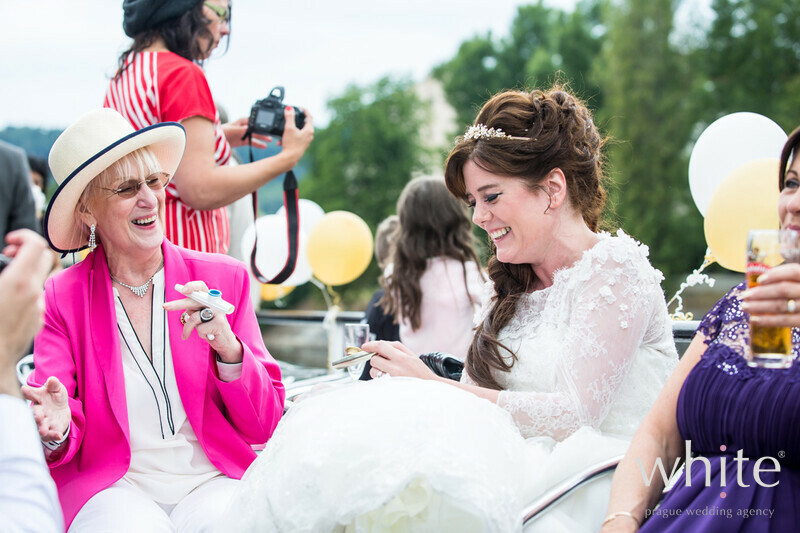 Depending on the occasion, we can recommend a boat of a suitable size - from small boats for the couple and witnesses only to large boats for celebrations for up to 200 hundred guests. 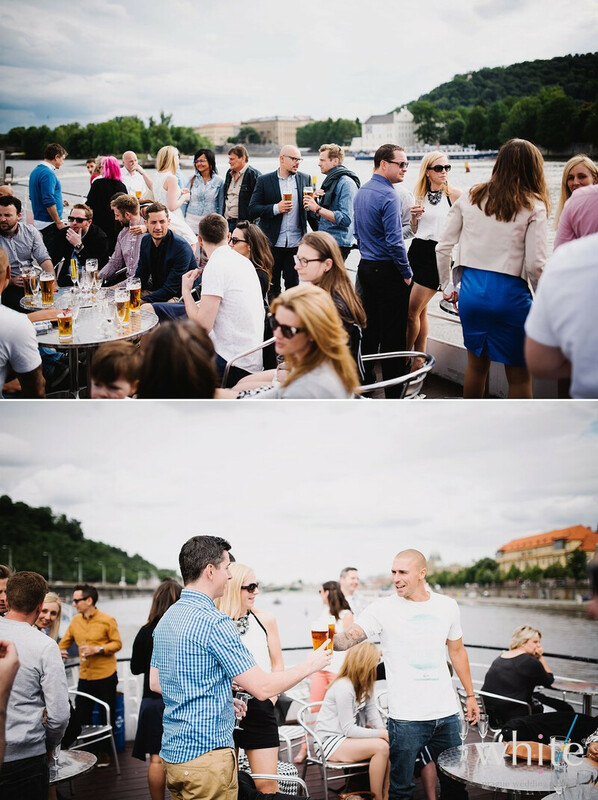 Party boats are great spots for pre-wedding get together, with BBQ or just tasty drinks, and can be also used as a way of transport between ceremony and reception location from one Prague river bank to another. 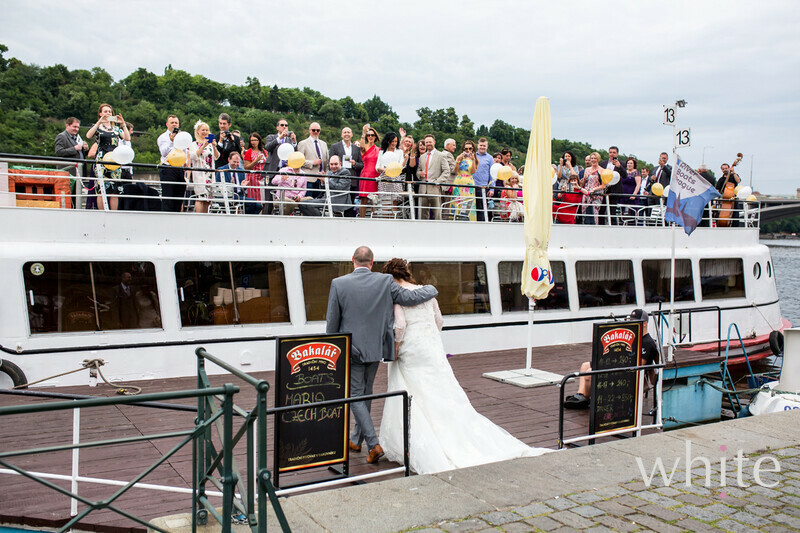 Wedding guests enjoy sightseeing boat trips with cocktails after the ceremony. 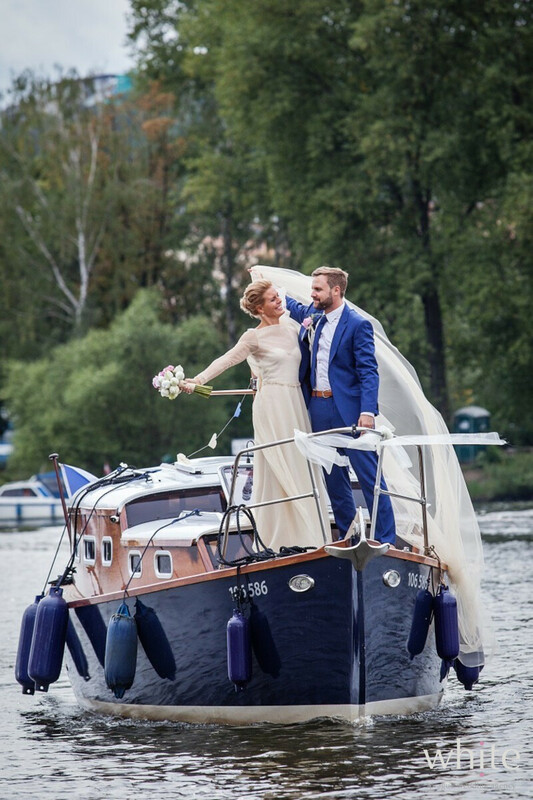 Boat can be even unique ceremony spot! 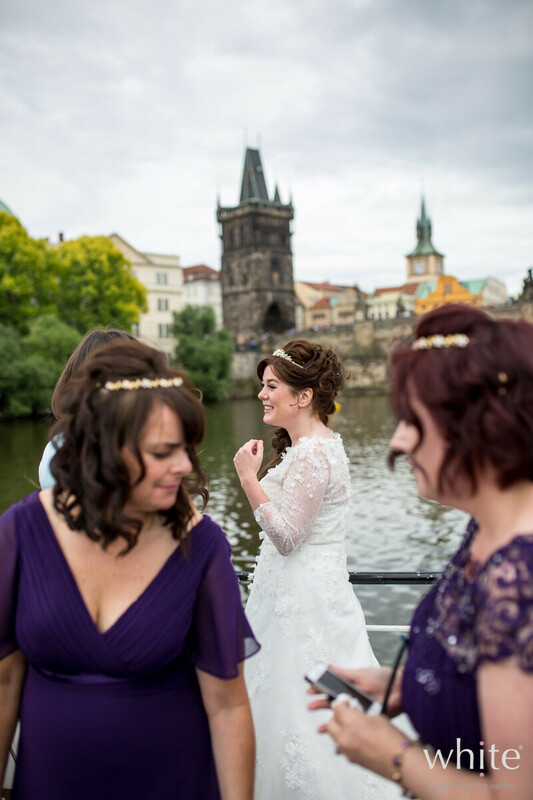 We love Prague small boats, suitable just for the newlyweds and a bottle of bubbles, nothing else will fit! 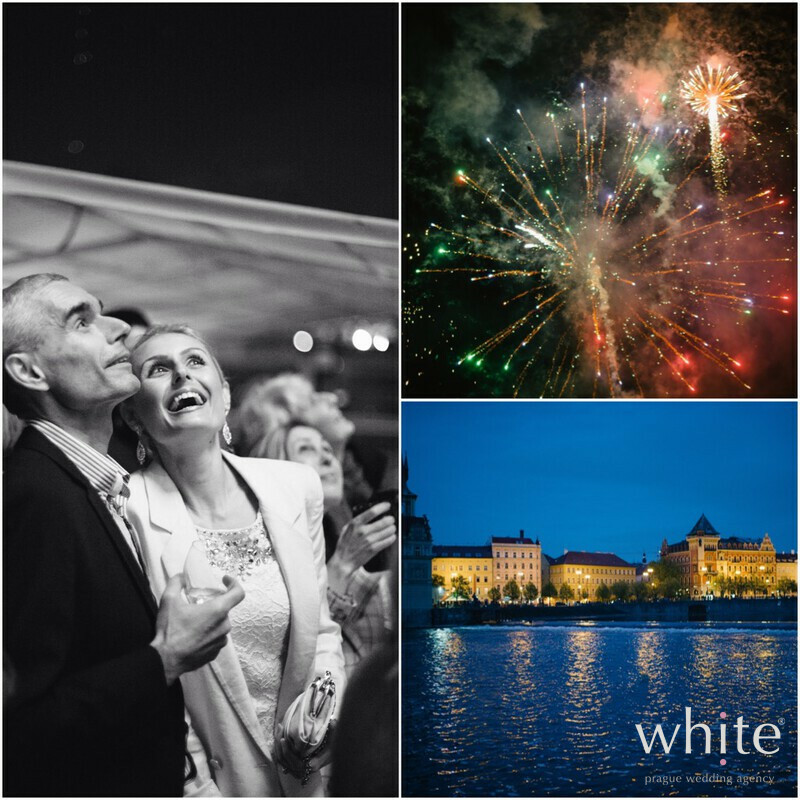 Most romantic way to spend your first hour of marriage, or mindblowing proposal spot..
We love evening cruises on Vltava river which can end grandiosely with having fireworks performed right in front of you on the river. 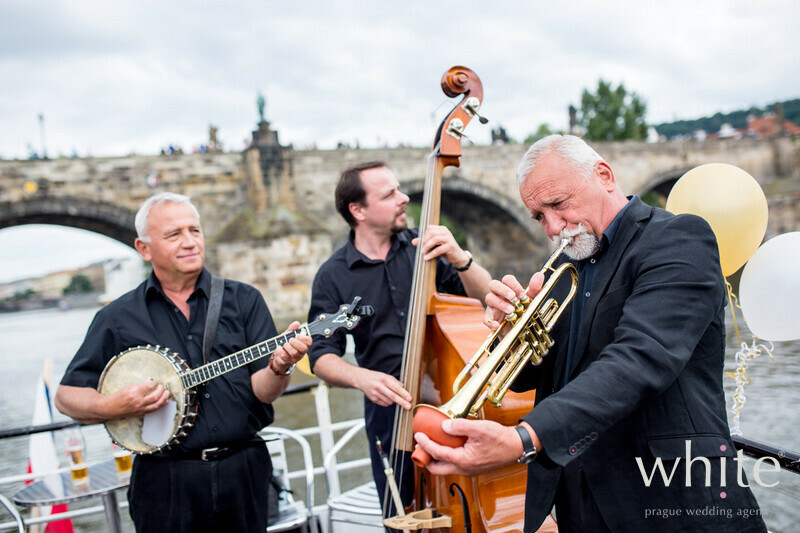 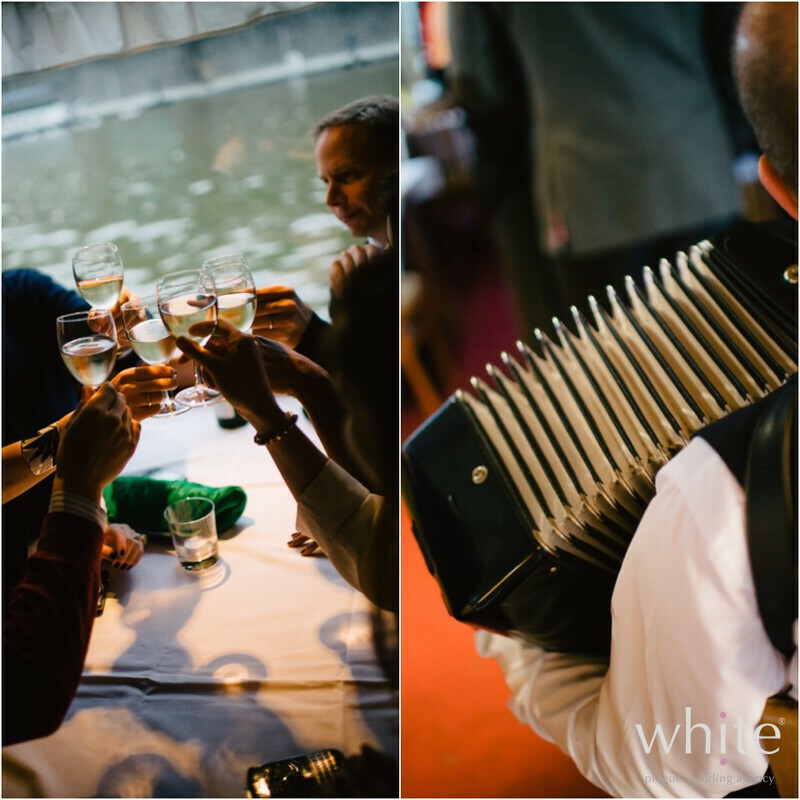 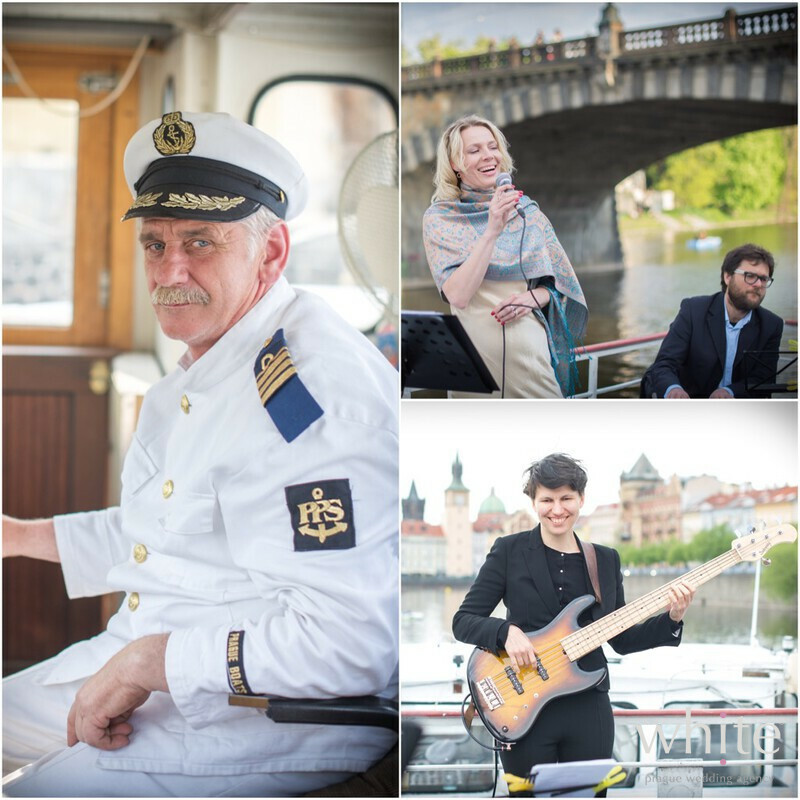 The whole wedding celebration can take place on the boat too - no venue in Prague will offer you so many beautiful views of Prague!